What are Chinese–heritage students’ experiences in language and education in and outside schools? How do they make sense of their multiple ethnic and sociocultural identities? What unique educational challenges and difficulties do they encounter as they acculturate, socialize, and integrate in their host country? What are their common struggles and coping strategies? What are the instructional practices that work for these learners in their specific contexts? What educational implications can be drawn to inform their teachers, fellow students, parents, and their educational communities in a global context? 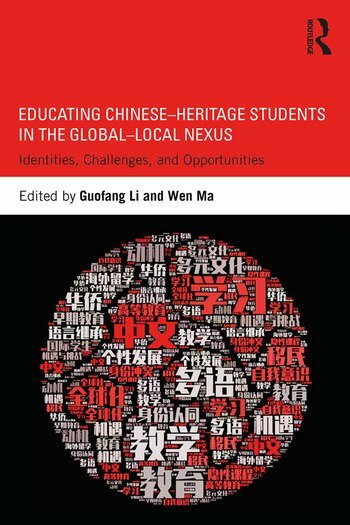 Individual chapters employ different theoretical frameworks and methodological instruments to wrestle with these questions and critical issues faced by Chinese–heritage learners. Guofang Li is a Professor and Tier 1 Canada Research Chair in the Department of Language and Literacy Education at the University of British Columbia, Canada. Wen Ma is an Associate Professor of Education at Le Moyne College, USA.